If you didn’t already know, I love fig fragrances. What makes Vilhelm Purple Fig different than so many other niche fig perfumes? It’s fruity. Purple Fig focuses more on the fruit, or the concept of the fruit, than the leaves or woods. It’s opening is a sparkling, nose-tickling kir royale. It’s like a dry champagne, fruity cassis and zesty lemon. It then smells like juicy blackcurrants and old stone walls (the angelica is almost like a “mineral musk”). These stone walls are covered in ivy. Purple Fig has a cool, green element. As it wears, it becomes a woodsier scent with fig leaves and cedar. But, it still is surrounded by a “fresh atmosphere”. It eventually dries down to damp stepping stones and Mediterranean evergreens. The feeling of Purple Fig is cheerful. It’s a fun fragrance that brings to mind the perfect summer afternoon. What I appreciate about Purple Fig is that it is a fruity fig that isn’t sugary. It’s fresh, green and more like the atmosphere around fig fruit (instead of fig jam). I described the fragrance in notes, which I’m sure you could deduct from reading the brand’s note list. So, I’m going to tell you how Purple Fig made me feel. It smells like a perfect afternoon. I feel like I’ve met my friends for late afternoon drinks on a day with perfect weather. We’re seated outside, in the shade, on a sunny day. Figs, trees covered in green leaves, little French bistro sets, damp stone patio. We all have good news and everything feels right and for that moment, we all share joy. It sounds corny but Purple Fig smells like happiness. 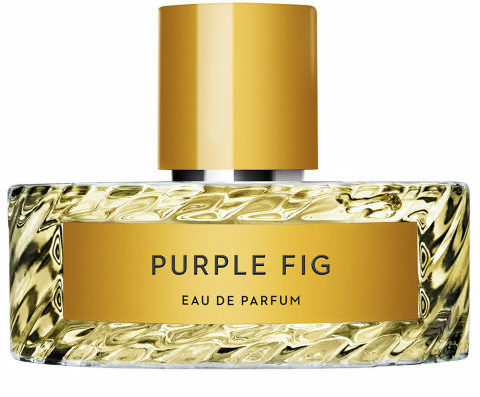 Give Purple Fig a try if you like fruity figs or fruity-green fragrances. Or perfumes like Byredo Pulp, Annick Goutal Ninfeo Mio, Elizabeth Arden Green Tea Fig, Pinrose Treehouse Royal and/or Bvlgari Eau Parfumée Au Thé Rouge. The 3.4 oz retails for $245 at Aedes. Samples are also available for purchase. 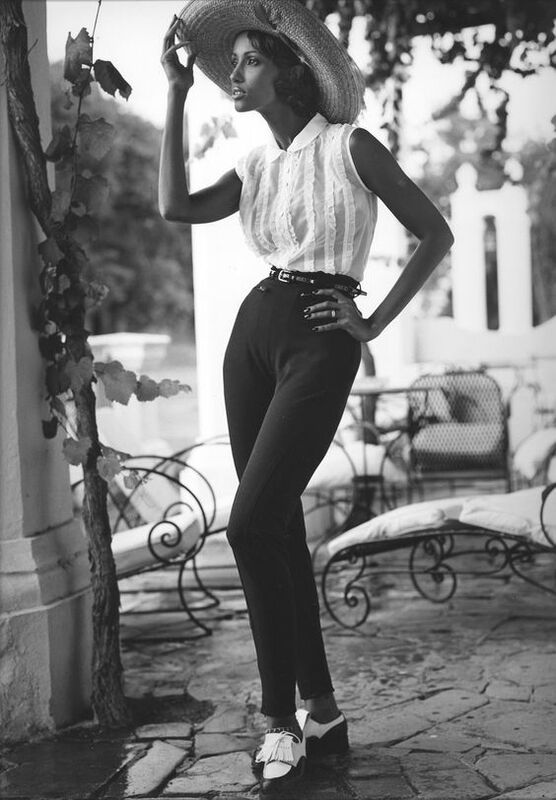 Victoria’s Final EauPINION – Fruity fig. I really enjoy it. I own a lot of figs, but most of figs lean green or creamy. I don’t have many fruity figs because in general, I don’t think they are that good. However, Purple Fig is that good. *Sample purchased by me. Product pic from the brand. Iman pic from fanpix.net.